DESCRIPTION Ski families, this is your home! Located in prestigious Valley Pointe Estates, this gorgeous home sits on a quiet CUL-DE-SAC steps from picturesque walking paths + the ravine. Located minutes from COP with quick access to the Trans Canada, weekend trips to the mountains has never been so convenient! This grand home offers an extra long driveway + an OVERSIZED garage which will fit a truck, SUV + an abundance of sporting equipment. The antique WHITE KITCHEN is tasteful + completely updated, meaning no compromise on style. The full height cabinetry adds visual appeal + the gas stove creates an elevated cooking experience. Upstairs, the central bonus room is a comforting family space which is nestled between the incredibly spacious children's rooms on one end, + the Master Suite on the other. Intelligently located at the back of the home, the Master Suite is quiet retreat with a 5 piece en-suite + a large walk-in closet. The coffee bar in the en-suite infuses early mornings with a little pleasure + novelty. A few necessary luxuries for the busy family include upper laundry, a main floor office, a SUNSHINE basement + a designated mud room. Yearly BBQ's on the cul-de-sac makes for a close knit community, while the quiet street makes it an ideal location for ball hockey! 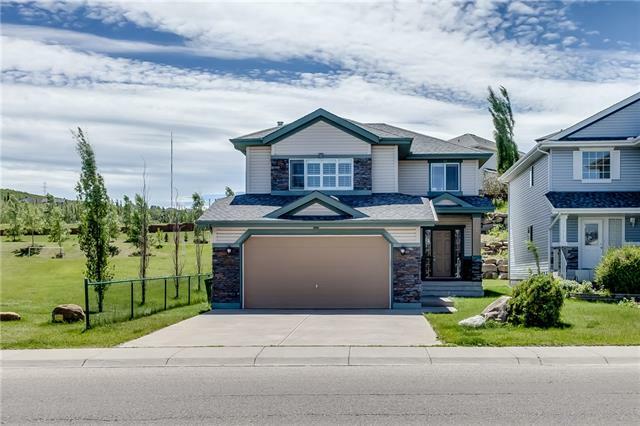 14 Valley Pointe BA Nw, Calgary, Alberta, MLS® C4224488 T3B 6B6 is a Detached, 3 bedrooms, 3 bathrooms, approximately 2,315 Sq. Ft. Listing price 659,900.00. This property was built in 2013.